It's been 40 years since Apple was founded, and by now, the story is a Silicon Valley legend: Two friends, Steve Jobs and Steve Wozniak, built a multi-billion dollar empire right out of their parent's garage. But what most people don't know was that there was actually a third person critical to Apple's origin. Apple's third co-founder, an obscure man by the name of Ronald Wayne, appears alongside Jobs and Wozniak in the initial business partnership agreement signed exactly 40 years ago today. Wayne famously sold his stake in the company just 12 days after it was founded, effectively losing out on billions of dollars. Since then, he's settled 97km outside of Las Vegas, living far away from tech-focused world of Cupertino. We reached out to Wayne for comment on the origins of Apple and to ask about Apple's earliest days. Gizmodo: You signed a piece of paper 40 years ago today that cemented you in the history of Apple. What was it like to be around Jobs and Wozniak in those early days? 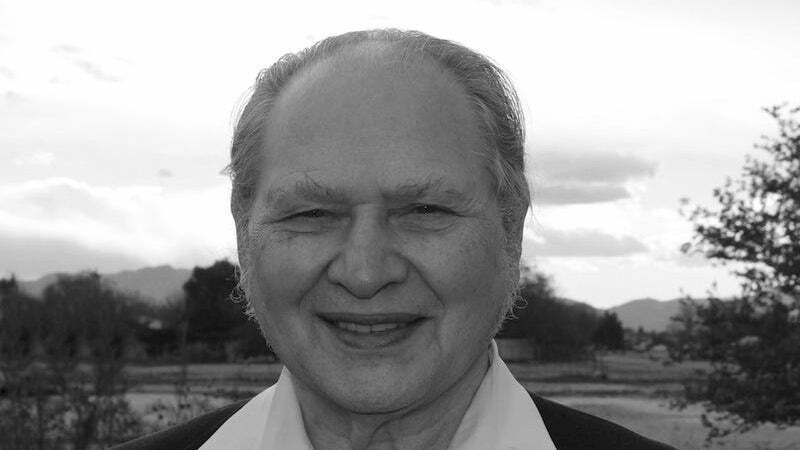 Ronald Wayne: It was a wonderful experience to be at the turning point of history — which it was. But you have to understand that, at the time, none of us recognised that. As far as my participation in the creation of Apple, it began by providing assistance to Steve Jobs who was a consulting engineer at Atari when I was there as a chief draftsman. Gizmodo: What were Steve Jobs and Steve Wozniak like at that time? RW: Wozniak was parental about the circuits he had developed. He wanted to reserve the right to use that circuitry in other applications. Jobs was trying to explain to him that these circuits would be proprietary to the company, and he wouldn't be able to do that. Jobs had many talents, but diplomacy was not one of them. You know what a diplomat is? It's the guy who can tell you to go to hell and makes you look forward to the trip. Jobs was not too skilled at that, but he thought perhaps I could help him get Woz to understand the situation. Gizmodo: What was the situation? RW: We wanted to start a company. I said, "Fine, bring Woz over to the apartment." I was living at Mountain View at the time. They both came over, and we sat down and chatted. It took about 45 minutes. Woz is a reasonable guy, and it just needed to be laid out in a way he could understand. The problem was quickly resolved. It was at that moment that Jobs said, "We're going to form a company. The three of us." Jobs and Woz would have 45 per cent, and I would have 10 per cent because Jobs thought I would be a good tiebreaker. If any problems came up, I would come down on the side of reason. That was the beginning of it all. I sat down at the typewriter and typed out three copies of the contract. Gizmodo: So why did you end up leaving the company? RW: I recognised that I was standing in the shadow of giants. I was a product development man in my own right, but I knew with any enterprise we put together, I was never going to get a project of my own. There was a single-mindedness that Jobs had that was disturbing. When he focused on something — where he was and where he wanted to be — the last place you wanted to be was between him and it. Of course, everyone asks me if I regret the fact that 12 days later that I pulled out of the enterprise. And of course, the answer is a resounding "No." Gizmodo: Why do you think you and Jobs got along so well in the beginning? RW: Right or wrong, he saw in me a kind of mentor — someone who had experience of the activities that he aspired to — without realising the fact that I was a terrible business man. Nevertheless he approached me with questions. "How would I handle this, and what do you do about that?" He walked into my office one day and he said "Hey Ron, I can get my paws on $US50,000 ($65,222) — suppose we go into the slot machine business." My answer was a very simple one: "That's the quickest way I can think of to lose $US50,000 ($65,222)." He never broached the subject again. Gizmodo: What other things did you and Jobs talk about? RW: As we were getting started with Apple, Jobs approached me with some sense of apprehension. He told me that he had many other things that he was interested in doing, and he didn't know if it was a good idea to get so deeply involved in this Apple company when he had so many ideas he wanted to pursue. My answer to him was that whatever it is you want to do, it will be a lot easier if you've have money in your pocket, and the Apple I will be a successful product. Of course, no one could have anticipated that it would become what it is today. Nonetheless, I knew it would be a successful product and he'd make a lot of money at it. "But, follow one piece of my advice," I said. "Once you have succeeded, don't forget what you wanted the money for." He forgot. This is just an interpretation on my part, but I think he became so enamoured with the activity that he was involved in, the activity itself became the driving force. Anything he was thinking of before he went into this enterprise was ancient history. 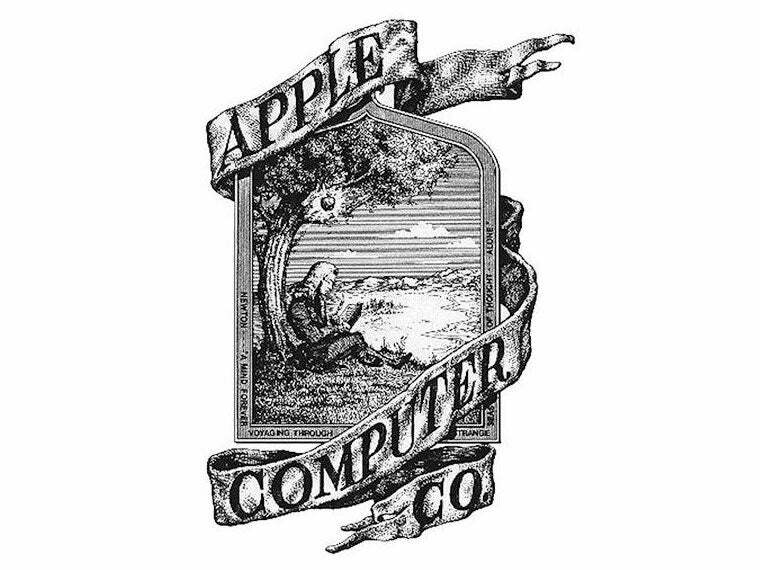 The original apple logo, designed by Ronald Wayne. "The logo was not a 20th century logo," he says. "In the process of doing this logo, let's just say I caught some of Mr. Wozniak's whimsy." Gizmodo: Did you keep in touch with Woz or Jobs after you left? RW: I have never approached Woz, but he's approached me a couple times. Four or five years ago, I'm at the MacWorld convention, I haven't seen Jobs or Wozniak in years, and there's this huge auditorium area and people are milling around. Through the crowd comes Steve Wozniak greeting me like a long lost brother. "Hello, how are you? Isn't this wonderful?" We spent the next couple of hours chatting about nothing and everything. That's the kind of person he was and the kind of person that he is. If you want the counterpoint, I approached Jobs to see if he'd care to put an entry in my autobiography. My autobiography was called "Adventures of an Apple Founder," and Jobs was very critical of it. He said he didn't regard me as a co-founder. That's all. Click. That was the end of it. Gizmodo: When you hear that, it seems to counter what everything said and written about you. That you were a kind of mentor to Jobs and Woz in those early years. Do you not see yourself that way? RW: I'd like to think that I had some influence in that beginning, but I recognise that I had no involvement with the corporation. I was there at the beginning. It was wonderful to be there. I hope I had some influence over the evolution of that, but I never regarded myself as part of the Apple phenomenon.